← Enter Our Summer Kickoff Instagram Photo Contest! Star-Spangled Savings for America’s Birthday! Fourth of July is almost here, and boy, is it hot out there! I hope you are all staying as cool as you can and that you all have plans to celebrate our national holiday in style! In addition to fireworks, picnics, cookouts, and parades, the Fourth of July also means great deals from some of our most popular merchants. If cool, colorful, and fashionable apparel is what you’re looking for, Macy’s July 4th sale is chock full of special offers and great deals on men’s, women’s, and children’s apparel. And don’t miss Macy’s special shoe sale and clearance, where you can get 20-50% off all the hottest summer fashions! If staying in your cool, air-conditioned home and enjoying some new home appliances is your preferred way to beat the summer heat, Lowe’s is offering up to 20% off of select major appliances $399 or more. This sale is only until July 9, so now is the time to spring for that new refrigerator or dishwasher that you have been putting off purchasing! 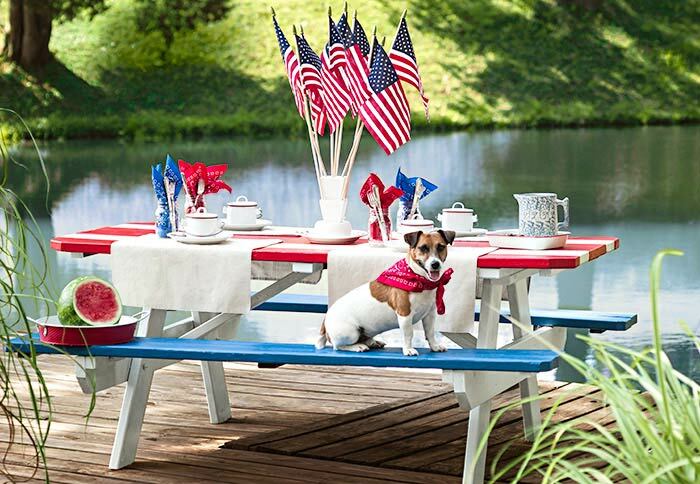 For those of us looking to enjoy the weather outside, Cost Plus World Market is offering a blowout sale on outdoor furniture, umbrellas, and seat cushions–up to 50% off! They also have a festive selection of classic Americana decor so you can be sure to celebrate the fourth in festive style! Like summer, these deals are fleeting so be sure to visit K12Rewards today to get all your July 4th savings while they last, and earn money for your school, too!